At Millville,White Pines Landfill provides limited pretreatment and the municipal plant was designed to fully remove nitrogen, including the loading from the leachate and an equivalent loading from septage and other trucked-in waste. Solomons Island has separate chemical and biological pretreatment processes upstream of the main treatment process. 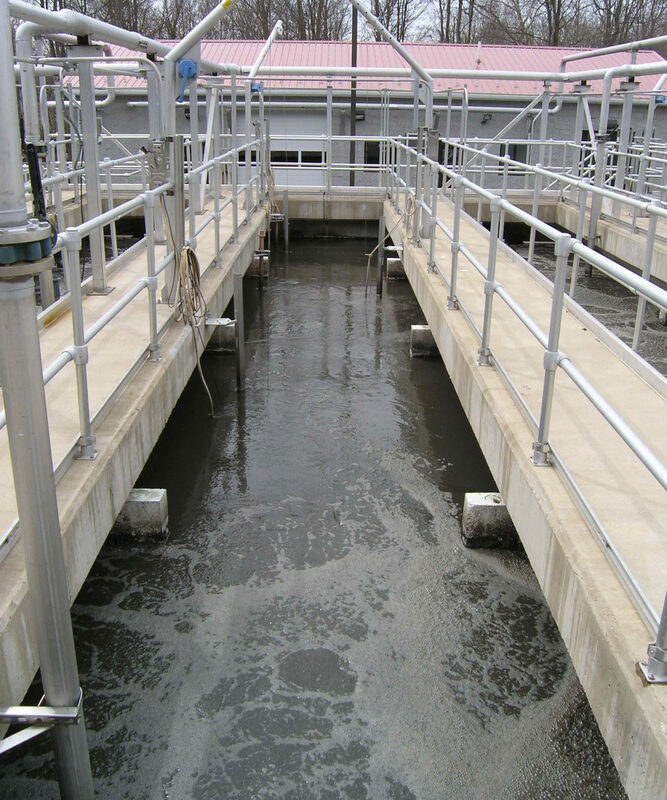 Both pretreatment processes are located at the main WWTP site. Gregg Township’s feasibility study evaluated pretreatment by the Lycoming County landfill and treatment by the municipal WWTP, which could have treated 100,000 gpd of medium-strength leachate without biological pretreatment. Bassett Engineering developed an innovative upgrade of the landfill’s leachate storage lagoon into a Modified Ludzak-Ettinger reactor, which significantly reduced Total Nitrogen discharges. Talbot County owns a municipal solid waste landfill serving it and neighboring counties. 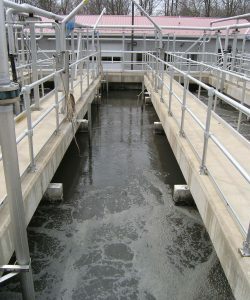 Both pretreatment, with discharge to Easton Utilities, and full treatment with direct land application were considered. Either way, the study showed that the pretreatment process would have to produce very high quality effluent, particularly with regard to nitrogen.